Tristan was spotted this weekend at PH-D nightclub in New York City getting very close to another girl, This footage surfaced yesterday. Then, TMZ dropped more videos of the NBA star allegedly cheating from back in October. Basically, it's looking really bad for Tristan. Tristan Thompson was spotted kissing a woman other than Khloe Kardashian at a New York bar over the weekend and, obviously, the Internet is shooketh. His girlfriend, Khloe Kardashian, is days away from giving birth to their baby. Obviously, the TBI, IBI, and SBI (Twitter, Instagram, and Snapchat Bureaus of Investigation) have gotten down to business figuring out the identity of the mystery woman. And it seems they've cracked the case. The woman at the bar has been identified as 28-year-old Instagram model and Bronx, New York native Lani Blair. She has around 400,000 followers on Instagram, but since the Tristan rumors began swirling las night, she's gone private. Lani was reportedly spotted kissing Tristan at PH-D, a rooftop bar in New York City, on April 7th. A short time later, he was seen entering his hotel with a mystery woman Tristan-and-Khloé fans assume is the same woman from the bar, AKA, Lani. 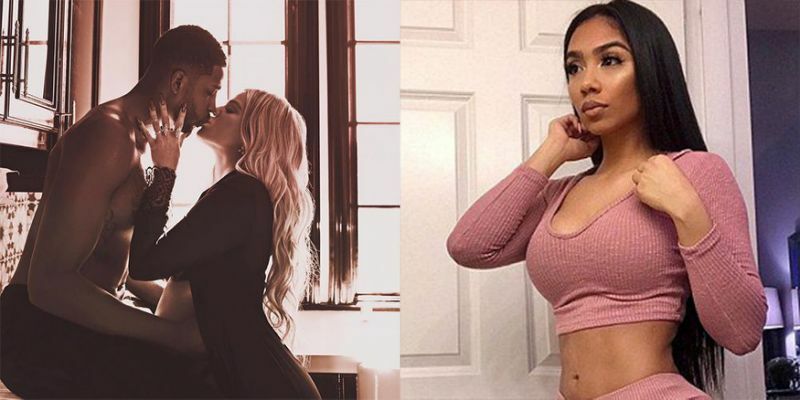 On top of Tristan's dalliance with Lani, he was also seemingly busted for cheating on Khloe back in October 2017 when footage of the NBA star leaked that shows him kissing and touching multiple women at a Washington, D.C. club. But cheating rumors have followed Khloe and Tristan's relationship since the very beginning of their relationship. Why? Because he started dating Khloe when his ex, Jordan Craig, was six months pregnant with his son, Prince. Khloe has denied that there was any cheating involved in their meet-cute, but people still find the timeline sketchy.